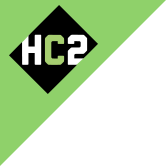 Governance Documents | Investor Relations | HC2 Holdings Inc. The Board of Directors of HC2 Holdings, Inc. sets high standards for the Company's employees, officers and directors. Implicit in this philosophy is the importance of sound corporate governance. It is the duty of the Board of Directors to serve as a prudent fiduciary for shareholders and to oversee the management of the Company's business. To fulfill its responsibilities and to discharge its duty, the Board of Directors follows the procedures and standards that are set forth in these guidelines. These guidelines are subject to modification from time to time as the Board of Directors deems appropriate in the best interests of the Company or as required by applicable laws and regulations.